White City Place is a new and exciting business district. Covering 17 acres in regenerated White City, it is positioned at the centre of a number of powerful networks — it is networked for creative thought. 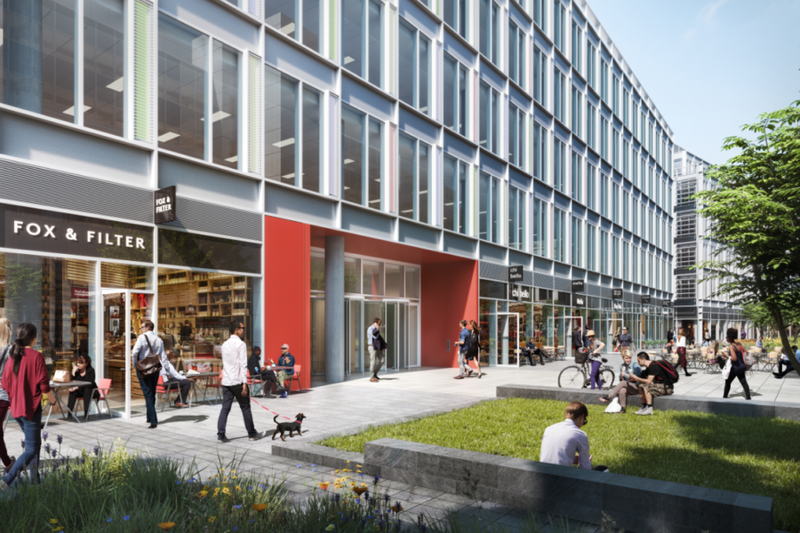 Exciting new proposals announced this week include the building of three new office buildings to be named Gateway West, Gateway Central and Gateway East at White City Place, the former BBC Media Village site. The three new proposed buildings will be in addition to the ongoing refurbishment of White City Place’s three existing buildings; MediaWorks and Garden House which will both be available for occupation from Autumn 2016, and WestWorks will be available from Spring 2017. White City Place already has three buildings pre-let to the BBC, the Broadcast Centre, Energy Centre and Lighthouse buildings, housing more than 3,000 BBC staff. In addition, BBC Worldwide moved into Television Centre in 2015 and is home to over 1,200 BBC staff. The new office buildings at Television Centre are designed by Stirling Prize-winning practice AHMM and Duggan Morris. Television Centre's offices will be finished to a Grade A standard and designed with modern occupiers in mind, with large bike stores with changing facilities and concierge facilities for employees, visitors and deliveries. This latest announcement is part of the wider redevelopment of White City which will see a £8 billion 15-year regeneration of the area. The area will see the arrival of new restaurants, 2,500 new homes, more than two million square feet of office space and 20,000 new jobs. A new John Lewis will open in 2018 in an expanded Westfield which will boast more than 420 stores.